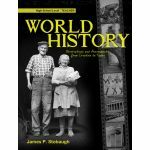 Ancient History curriculum is always discounted at Schoolhouse Publishing! The history of ancient civilizations is, to me, absolutely fascinating and exciting. 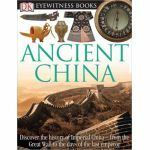 The story of the beginnings of all things, God's hand throughout the ages, the mystery and drama of ancient peoples doing astounding things - it should bring goosebumps to your homeschoolers! History should be like a good movie - full of suspense and excitement, wonderful lessons learned, inspiring heroes, and pointing us back to God and His sovereignty. It is, after all, His story. Keep your homeschool history alive and exciting. This section of our website is specifically for the fascinating ages of ancient civilizations, ancient Egypt, ancient Greece, and ancient Rome. Spend some time browsing through this section to find exactly the program you are looking for to spark your homeschool students' love of history. Click here for an easy-to-use chart that compares all our history programs at a glance.